The Common Press was founded at the University of Pennsylvania on January 17, 2006, the 300th anniversary of Benjamin Franklin’s birth. As such, you would be right if you guessed that the “Ben” below is, in fact, in reference to Benjamin Franklin (2006, created by students at the Common Press). The Common Press was conceived as an interdisciplinary project by the Kelly Writers House; the Kislak Center for Special Collections, Rare Books and Manuscripts; and the University of Pennsylvania Fine Arts program, to create an environment encouraging collaboration among students with an emphasis on working among digital and analog design, writing, and image making. Located in the printmaking facility of the Fine Arts program, the press houses equipment spanning over two centuries including several antique presses, lead and wooden type, and wood cuts and photogravure plates. Common Press printed projects and ephemera, 1998-2016, Print Coll. 37, includes broadsides, posters, flyers, postcards, cards, and chapbooks, and the projects were created using a variety of printing processes and techniques. Event posters include the one below, printed using charcoal (2010, created by Sophie Hodara and Matt Neff). Over the years, the press has formed long-standing relationships with local institutional partners including the Philadelphia Museum of Art, the Wharton Esherick Museum, the Print Center, and the Institute of Contemporary Art– an example of which is shown below (2012, created by Mark Owens). The projects show a variety of printing techniques and image styles– see details below of two striking examples from 2010 (at left, created by students at the Common Press), and 2007 (at right, created by Matt Neff). The projects also feature pieces of captured language, as well as famous sayings, as in the two examples below– at left (2006, created by students at the Common Press), a bit of wisdom from Benjamin Franklin, and at right (2008, created by students at the Common Press), a snippet of overheard conversation. If these images have inspired you to embark upon your own letterpress project, I’ll leave you with this final sentiment, below (2012, created by Marianne Dages). This collection is now open for research use. Device of printer Antonio Blado (Ascarelli & Menato. Tipografia del’ 500 in Italia, no. 10). Woodcut of St. Jerome in his study with his lion. La moral filosophia del Doni, tratta da gli antichi scrittori. La moral filosophia del Doni, tratta da gli antichi scrittori, by Giovanni, da Capua, 13th cent. 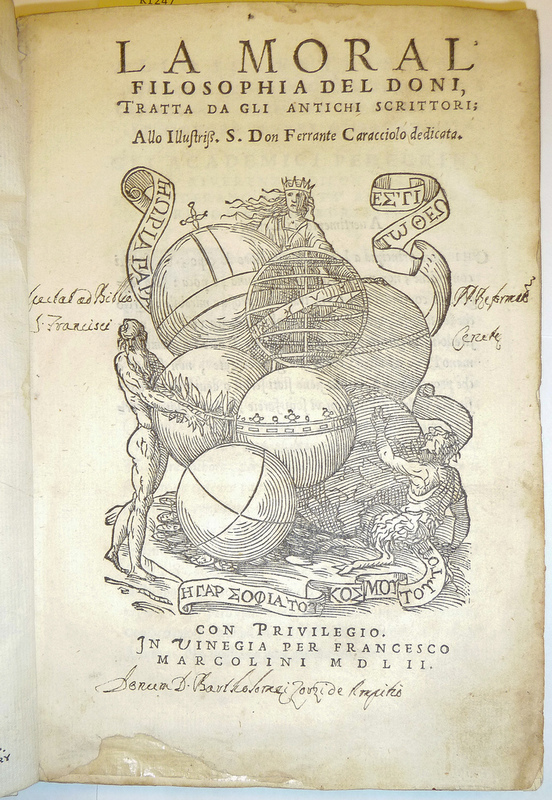 Ms. ownership inscription of the library of Convento di San Francesco di Ceneda of the Reformed Franciscans. Probably Bartolomeo Zorzi d’Ampezzo (no dates). 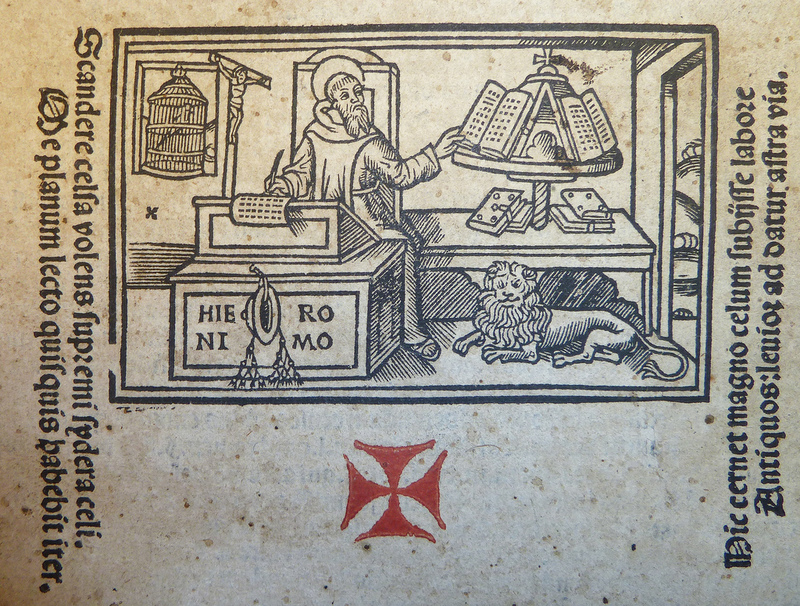 Woodcut explicating the abbey memory system of the Dominican Johann Horst von Romberch in his Congestorium artificiose memorie (Venice: Melchiorre Sessa, 1533). In this cut are “sets of objects to be memorized in the courtyard, library, and chapel of the abbey. Each fifth place is marked with a hand and each tenth place with a cross, in accordance with the instructions given in [the popular rhetorical textbook] Ad Herennium for distinguishing the fifth and tenth places. Obviously there is an association here with the five fingers. As Memory moved along the places, these were ticked off on the fingers.”–F.A. Yates, The Art of Memory (London: Pimlico, 1992), p. 116. 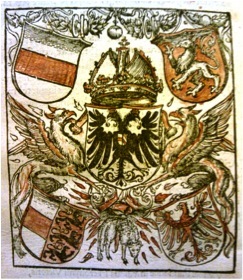 Woodcut coat of arms of Maximilian I, Holy Roman Emperor (1459-1519) surrounded by the arms of Austria(? ), Styria(? ), Carinthia(? ), and Carniola(?). Found in: Dialogus mythologicus Bartolomei Colonie[n]sis : dulcibus iocis, iucundis salibus, co[n]cinisq[ue] sente[n]tiis refertus, atq[ue] diligenter nuper elaboratus, by Coloniensis Bartholomaeus, ca. 1460-ca. 1516. 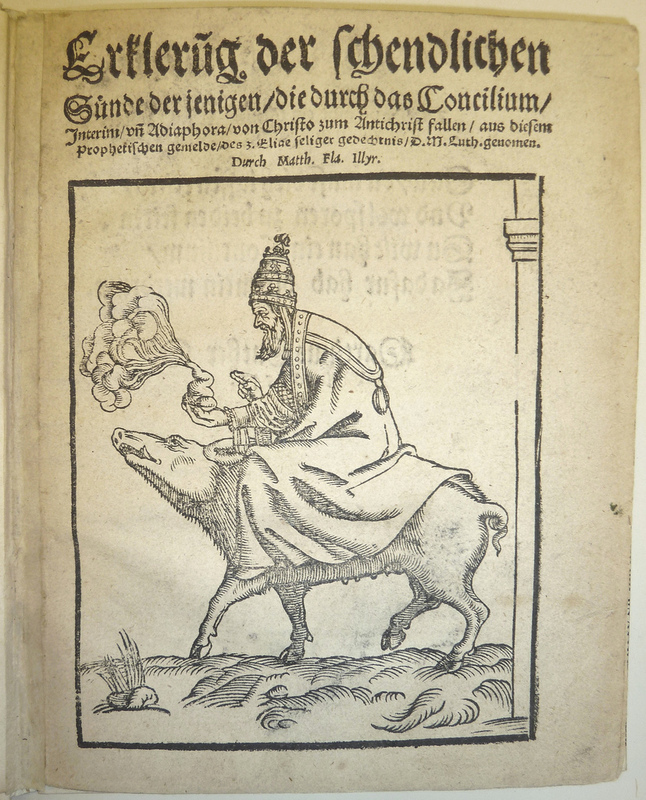 Woodcut used by Hieronymus Vietor and Johann Singriener of Vienna. 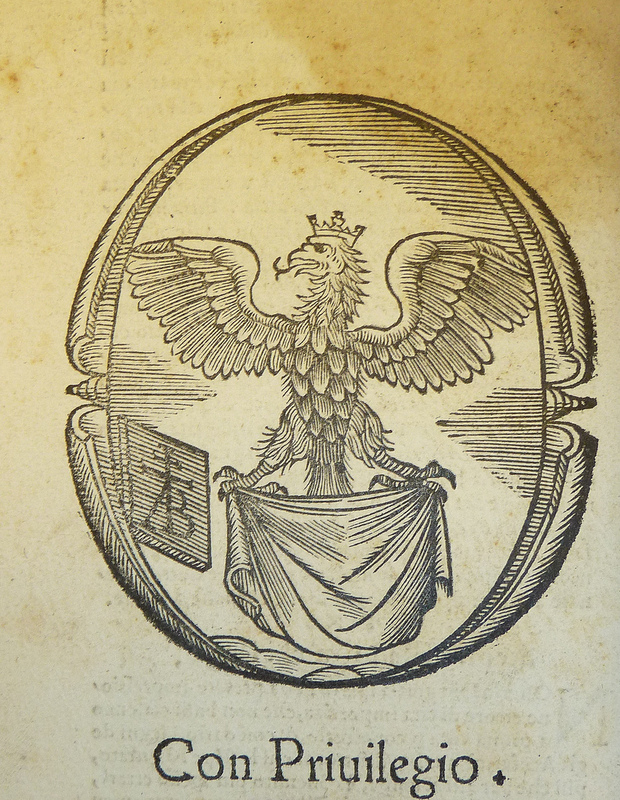 Woodcut diagram of a visual alphabet from Johann Horst von Romberch’s work on memory, Congestorium artificiose memorie (Venice: Melchiorre Sessa, 1533). “Visual alphabets are ways of representing letters of the alphabet by images. 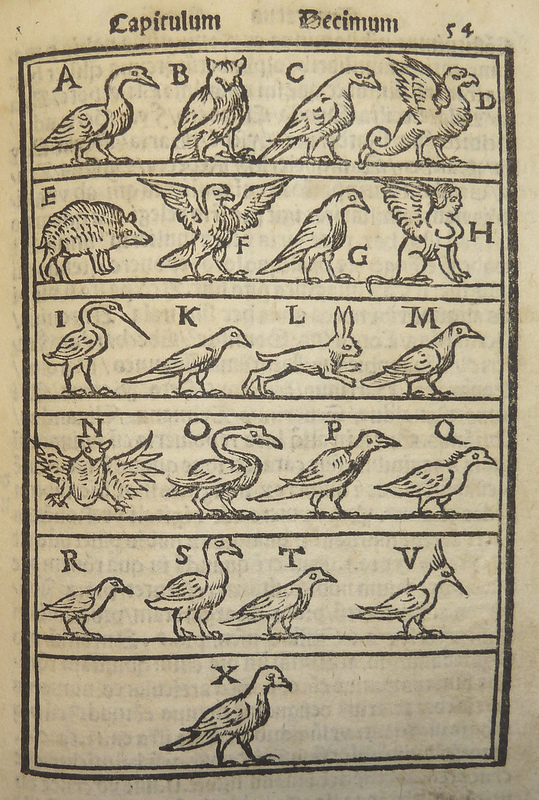 These are formed in various ways; for example with pictures of objects whose shape resemble [sic] letters of the alphabet, as compasses or a ladder for A; or a hoe for N. Another way is through pictures of animals or birds arranged in the order of the first letter of their names, as A for Anser, goose, B for Bubo, owl.”–F.A. Yates, The Art of Memory (London: Pimlico, 1992), p. 124-125. The image may also have anti-Semitic undertones, recalling satirical depictions of Jews riding on pigs (cf. R.W. Scribner, Popular Culture and Popular Movements in Reformation Germany (London: Hambledon Press, 1987), p. 292).